Does being away from home send you into a panic? 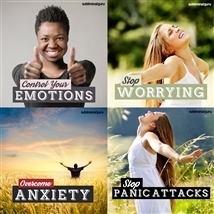 Want an effective way to eliminate your fear from within? For some people, travel can be terrifying. The thought of leaving home and moving to unfamiliar territory, no matter how far away, creates anxiety, shortness of breath, a racing pulse, and nausea. It seriously limits your options and can be deeply frustrating. 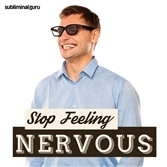 With the Overcome Fear of Traveling subliminal session, you'll discover how to eliminate your anxieties about traveling! As you listen, thousands of powerful positive affirmations will influence your thinking, helping you stay calm and in control. You'll start to relax, feeling settled and composed whenever you venture away from home. You'll realize that you're safe wherever you are, no longer overwhelmed by your emotions and able to enjoy journeys in peace and comfort. Triumph over your travel fears! 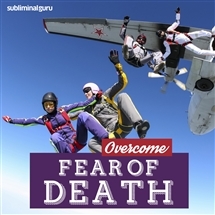 Download the Overcome Fear of Traveling subliminal audio now to make every trip a pleasant and agreeable experience. I am at ease when I travel. I stay calm and composed during travel. Traveling opens the door to awesome new adventures. I am a cool and confident traveler. I embrace the opportunities that travel brings. I feel perfectly safe when traveling. Traveling lets me experience new worlds and cultures. I am a seasoned traveler. Traveling gives me a real buzz. I look forward to traveling with anticipation. I get excited when planning my next trip. I know that getting there is half the fun.